This book was all the hype over Christmas season at the book store. But, I’m stubborn and often won’t read books that are pushed on me. Luckily, my book club had chosen this book for May and I’m so glad they did. It’s not that I didn’t want to read this book, I just needed to find the right time to read it, ya know? Sometimes book club is awesome for this. The premise, at first, is simple: the circus arrives at night, without any warning and is gone come dawn. It travels around the world, popping up with no notice. Everything is black, white and shades of grey. This is no ordinary circus though. Once you pass through the gates, you enter a whole other world, one I wish so badly I could physically experience myself. Instead of one main tent, the night circus is many individual tents, each with something magically unique and amazing inside. You are free to wander and enter tents as you wish. The circus may be black and white, but the story is not void of colour. The prose is rich with detail and the illusions that fill the chapters jump off the page. If I’ve ever wanted a book to be desperately made into a movie, this is it. While I had no trouble escaping into the world of the night circus, I believe this story would translate amazingly onto the big screen, where the magic and illusions could come to life. The book mostly follows main characters, Celia and Marco. We first meet Celia and Marco when they are just children and have been chosen by two experienced magicians to compete in a game where only one winner can be declared. Celia and Marco are unaware of each other’s identity, and when and what this competition will entail remains a mystery to both the characters and the reader. Thinking back to the story, I’m not even sure myself if I fully understand just what this so-called “competition” was for, but somehow this didn’t seem to matter to me too much while reading it. The circus serves as their medium in which they perform and showcase their individual strengths and talents. But when Celia and Marco start to fall in love, naturally, everything changes. While I didn’t feel this was a story that was character driven, I still found myself invested in Celia and Marco and anxious to find out their outcome. Unfortunately, their love story was not deeply developed, and sometimes I had trouble believing in their love. Luckily, they aren’t the only characters in this book, and I found myself more invested in the story and fate of the twins, Poppet and Widget, who you will meet at The Circus. 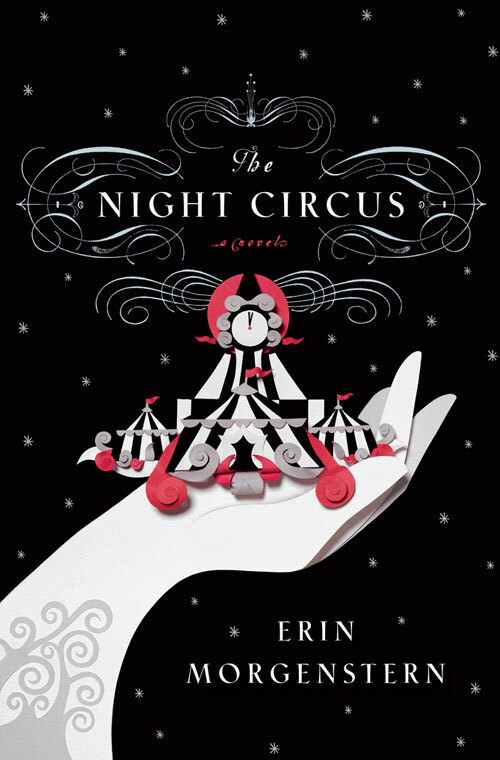 So, if you’re like me, and have been putting off reading this book, then I urge you to pick it up and escape into the enchanting world of The Night Circus! Yay! I'm so glad you loved this book :) I just recently read it, and I absolutely adored it. I completely agree with you about it not being character driven and the love story because a little underdeveloped. I was also more invested in the twins story! I had the same complaints about the book, but for some reason it didn't make me love the book any less. Those things would usually bother me more, but it really didn't affect how I ultimately felt about the book. Glad to see that you seem to agree! I do agree - even with it's few faults, I still loved it, which I think speaks strongly for the book! I only didn't like the jumping around in years because I had to do the math each chapter to figure out how old the twins were supposed to be , lol! And speaking of the twins, I kinda of want a sequel about them (and Bailey), but then, I also don't, because this book was so good all on it's own and sometimes sequels ruin it all.